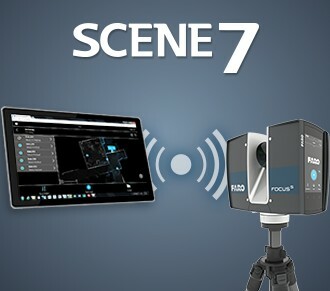 The new SCENE 7.0 provides users with a new on-site registration functionality which enables 3D scan data to be wirelessly transmitted, processed, aligned and registered directly to an on-site mobile device or PC in real time. Generating an entire overview map of the completed project is part of the new on-site registration workflow. FARO VR now also brings the virtual reality experience of the Oculus Rift to the world of Point Clouds.